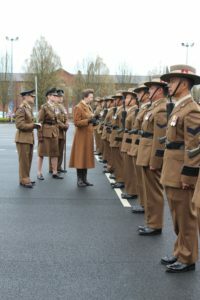 On Tuesday 29th March 2017, Her Royal Highness The Princess Royal, Colonel in Chief, Royal Corps of Signals presented the Firmin Sword of Peace to 2 Signal Regiment whilst visiting their home at Imphal Barracks in York. 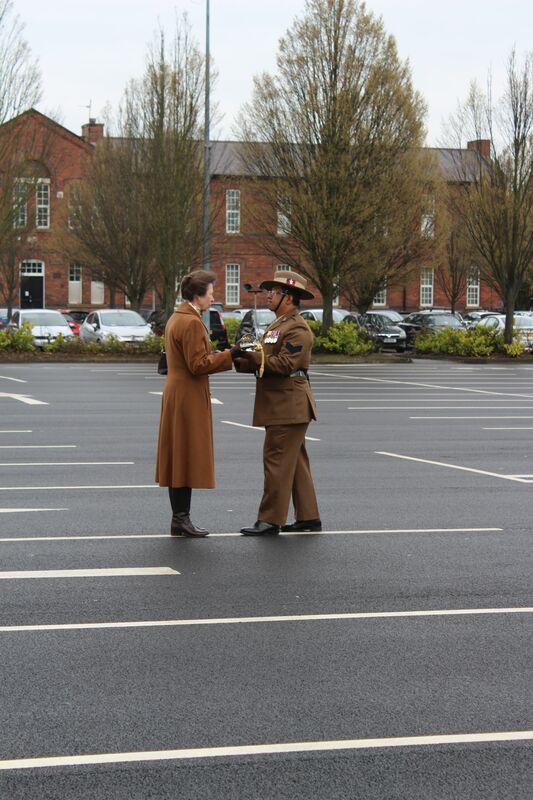 Also in attendance were Deputy Chief of the General Staff, Master of Signals and Colonel Commandant Brigade of Gurkhas, Lieutenant General N A W Pope CBE, Corps Colonel Royal Signals, Colonel S G Hutchinson MBE ADC, and Colonel Ian Hargreaves who was Commanding Officer of 2 Signal Regiment in 2015. The Firmin Sword of Peace is awarded each year to the unit of the UK’s Armed Forces judged to have made the most valuable contribution towards establishing good and friendly relations with any community at home or overseas over and above the unit’s normal role and duty. The citation read that “even at the very height of operational commitments in 2015, and with two-thirds of the Regiment deployed, the Regiment also found themselves undertaking significant and at times strategic humanitarian activity in Sierra Leone, Nepal, the Falkland Islands and in the United Kingdom. On top of that, engaging in various charity activities, the Regiment managed to raise nearly £160,000”. 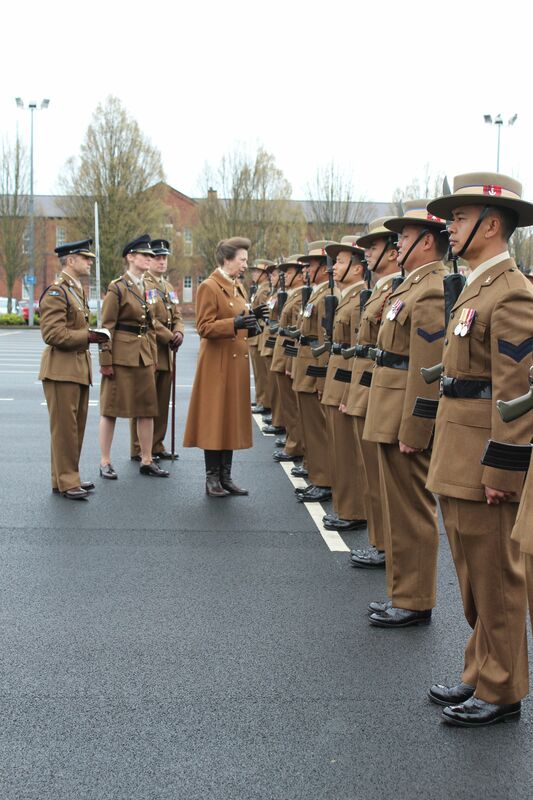 Corporal Prembahadur Gurung, 246 Gurkha Signal Squadron, received the Firmin Sword of Peace from Her Royal Highness The Princess Royal on behalf of the Regiment. Her Royal Highness was also able to present Signaller Buddha Gurung with the Certificate of Meritorious Service which he was recently awarded by General Officer Commanding Force Troop Command.